President Trump laid out a new plan for immigration reform in his State of the Union address. It calls for building a wall with Mexico, a path to citizenship for Dreamers, and eliminating family sponsorship or chain migration policies. It’s not clear whether Congress will pick up on these suggestions but one thing seems obvious: the Trump plan will reduce the ethnic and racial diversity of the United States in the future. Both the conservative Cato Institute and the Washington Post have analyzed the plan and estimate that it would eliminate between 300,000 and half a million immigrants annually. Most of those cuts would come from Asia, Africa, and Latin America. In other words, Trump’s plan would keep America white for some time. The White House’s plan is not something forward looking; in fact, it restores immigration priorities that were in place for most of the twentieth century. The US restricted immigration on the basis of race throughout most of its history. It insisted that those few immigrants that made it would have to assimilate or “Americanize” in order to stay. Today, a majority of Americans insist that immigrants should be willing to give up part of their cultures in order to become Americans. During his campaign, President Trump complained that Muslim immigrants were not assimilating into US culture. A recent Pew Trust poll reveals that about half of Muslims immigrants do think of themselves as Muslims first, and then Americans. But the poll also revealed that about 46 percent of Christians in the US feel the same way about their religious identity. These kinds of double standards demonstrate that we have still have trouble imagining what a diverse country means. About a hundred years ago, a play opened in Washington, DC that gave us the metaphor for understanding the role of immigrants in the US. That play was titled “The Melting Pot.” It told the story of immigrants coming here and shedding their cultural baggage in order to forge new lives. Almost immediately, the philosopher Horace Kallen rejected this model and suggested a new way to understand what a diverse nation could look like. Kallen thought the melting pot worked to boil down differences into a bland mixture. He believed that those who talked about assimilation were really insisting that immigrants try to mimic the ways of life of the white, Protestant, settlers in order to be accepted. Indeed, immigration reform in 1924 heavily restricted immigrants that didn’t come from Northern and Western Europe because the thought was those peoples couldn’t easily assimilate into US culture. Kallen recommended we reject the melting pot and take up new metaphor: the orchestra. His idea was that an orchestra works not by insisting on a unison of voices, but on a harmony of difference. Think of a choir: you have bass, baritone, tenor, soprano, and alto. They don’t all sing the same musical notes in performance, but their voices complement one another to make a complete song. Kallen wanted us to try to imagine how different immigrant cultures could be allowed to pursue their own traditions, while at the same time harmonizing with one another and with the great political values of life, liberty, and the pursuit of happiness. 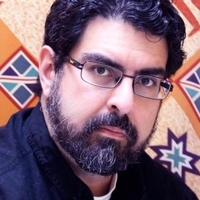 José-Antonio Orosco, Ph.D, writes for PeaceVoice and is Associate Professor of Philosophy: School of History, Philosophy, and Religion; Director, Oregon State University Peace Studies Program. He is the author of Toppling the Melting Pot: Immigration and Multiculturalism in American Pragmatism (2016) and other scholarly works.